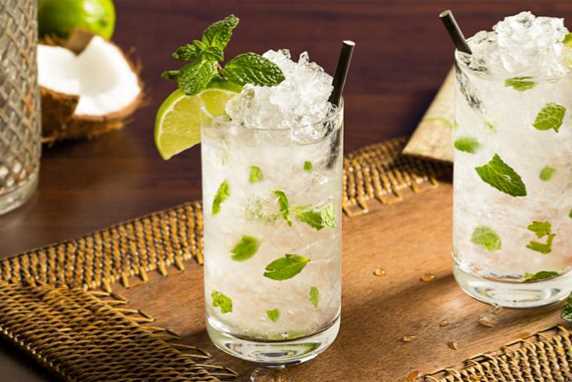 Coconut Mojito – Axelum Resources Corp.
Muddle or mash together the sugar, spearmint and lime wedges in a tall glass. Add the ice, pour in the rum and top with the Fiesta Tropicale coconut water (natural). Stir well and garnish with lime wedge and spearmint leaf.